Join Christina Badaracco and WIN's Health Policy and Environment Networks for a community conversation about food - learn and ask questions about sustainability, food insecurity and the food justice movement! Join Christina Badaracco, co-author of the Farm Bill: A Citizens Guide, and WIN's Health Policy and Environment Networks for a community conversation about food - learn and ask questions about sustainability, food insecurity and the food justice movement! Experts in the field will discuss what is at stake when we fail to live within our ecological limits and will provide background on relevant issues. Panelists will discuss important topics like the growth of corporate monopolies running our food systems, which causes increased harm to small and medium farmers, public health, and the environment. **The event will be located in the alley behind the 1200 block of Florida Ave NE, between Montello and Trinidad. The Farm Bill is one of the most important pieces of legislation the American president signs. Negotiated every five to seven years, it has tremendous implications for food production, nutrition assistance, habitat conservation, international trade, and much more. Yet at nearly 1,000 pages, it is difficult to understand for policymakers, let alone citizens. In this primer, Dan Imhoff and Christina Badaracco translate all the “legalese" and political jargon into an accessible, graphics-rich 200 pages. 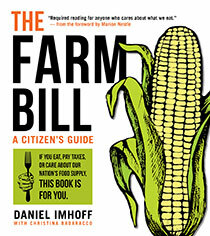 Readers of The Farm Bill: A Citizen's Guide will learn the basic elements of the bill, its origins and history, and perhaps most importantly, the battles that will determine the direction of food policy in the coming years. The authors trace how the legislation has evolved, from its first incarnation during the Great Depression, to today, when America has become the world’s leading agricultural powerhouse. They explain the three main components of the bill—farm subsidies, food stamps or SNAP, and conservation programs—as well as how crucial public policies are changing. As Congress ramps up debate about the next farm bill, we all need to understand the implications of their decisions. Will there be limits on subsidies to huge agribusinesses? Can we shift toward programs that reward sustainable farming practices? Will hungry kids get the help they need? These are questions that affect not only farmers, but everyone who eats. You have a stake in the answers. The Farm Bill is your guide. Dan Imhoff is an author, musician, and artisan food producer who has written for 25 years on topics related to ecological sustainability. He has written numerous articles, essays, and books including Food Fight: The Citizen’s Guide to the Next Food and Farm Bill. 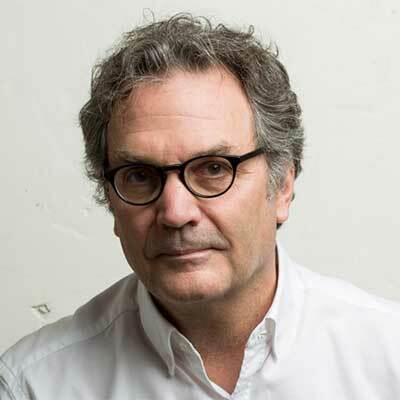 Dan is the president and co-founder of Watershed Media as well as president and a co-founder of the Wild Farm Alliance, a national organization that works to promote agriculture systems that support and accommodate wild nature.